Help Your Students Learn The Essentials About The Instruments Of The Orchestra In A Fun Way! 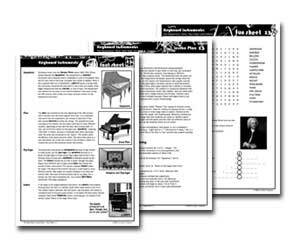 The Instruments of the Orchestra module contains fourteen lessons based on instruments found in a standard classical orchestra. Whether you teach in a school that uses a classical approach or a more modern Rock curriculum, you still need to cover the basics of all musical instruments with the students. This is really written for around a junior high level, but we did not make this information too specific so that it can be relevant in both elementary and high school levels, depending on each school situation. We are not here to tell you what is appropriate for whom – you can decide that for yourself! This lesson covers seating positions, the instrument family names, and a description of how the different instrument families make sound. 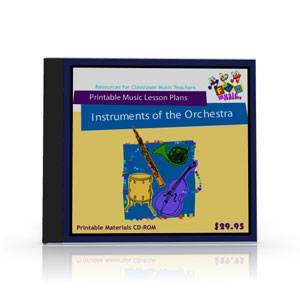 It is an ideal introduction to musical instruments for fundamental music lessons. 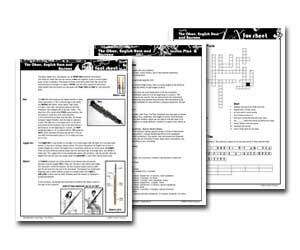 The Fun Sheet contains a crossword, plus a “Match the Instrument to its Family” game. This lesson covers the role of the conductor, and how he works with the orchestra. The lesson also describes some simple beat patterns (duple, triple and quadruple), so the students can actually learn to be conductors! The Fun Sheet contains a “find a word”, plus a name scramble of some famous conductors. As well as covering the basics of the Violin and Viola such as the number of strings, the parts of the instrument and its history, the lesson also includes a description of basic playing techniques, including vibrato and pizzicato. 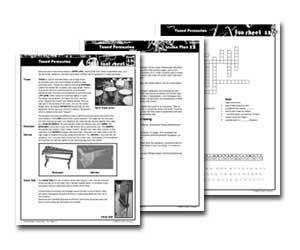 The Fun Sheet contains a “scattered parts puzzle” where students will need to be able to identify the various parts of the string instruments to put them together. 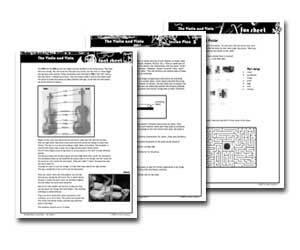 The Cello and Double Bass lesson covers the differences between the remaining members of the string family, and provides listening ideas for identifying the Cellos and Double Basses in the orchestra. 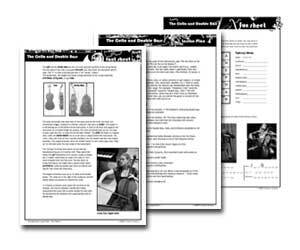 The Fun Sheet contains a fun scattered words activity, plus a decoding activity where the students will find the names of three famous cellists. We’ve included links to videos where they can hear and see these cellists playing. In this lesson students will explore high sounds coming from the Flute and Piccolo, as well as learning about all their parts. 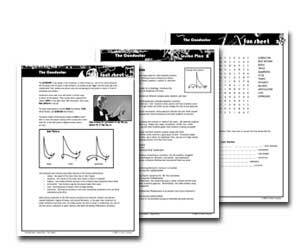 The lesson plan contains some great directed listening activities to help the students become familiar with the sounds of the Flute. The more unusual and interesting instruments in the orchestra provide a great resource for students. Its not boring at all when students “make” an oboe from a drinking straw and learn about the vibration of a double reed instrument. 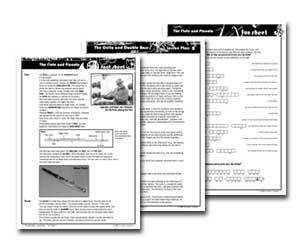 In this lesson plan there are some ideas for long term projects about clarinet players, as well as links to hear them play and recommended listening to hear the Clarinet in action. The Fun Sheet contains a word search and a name scramble where students will have to become familiar with a lot of interesting facts about the Clarinet. Yes… we know that the saxophone is not really a “full time” member of the classical orchestra, but it is such an important instrument in Jazz and Concert Bands in schools that we felt it should be included with its own lesson here. The students will learn lots of interesting facts about the history of the Saxophone, and its place in modern music. The brass instruments are very important to learn about, as one lesson we’d all love our students to have is not to go around calling a Trombone or Tuba a “Trumpet” later in life! 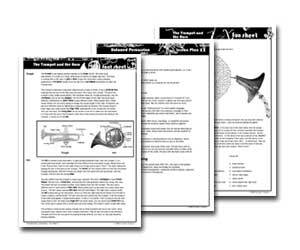 In addition to the facts about the instruments the lesson plan includes a fun game to help students learn the parts of the Trumpet and Horn. 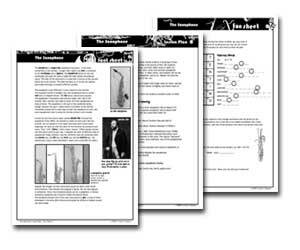 Instead of the usual facts and details, this lesson plan sheet for this lesson includes a fun game called the “Trombolympics”, which may well be needed by the time the class gets up to this lesson! 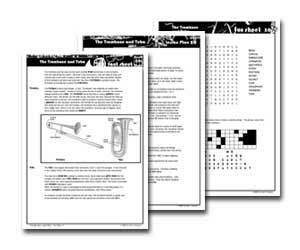 The Fun Sheet contains a word search, plus a “fallen phrase” game where students will learn interesting facts about the Trombone. Most school students are familiar with the drum set. However, it’s important for them to learn about the percussion instruments that are in the orchestra and how they relate to classical music. 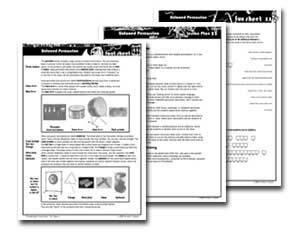 The Fact Sheet contains some clear pictures of all the instruments, and the lesson plan has ideas to bring percussion instruments to life in the classroom. Piano, Harpsichord, Pipe Organ or Celesta, they are all covered here, as are listening examples featuring each instrument. A game is included in the lesson plan to make learning about the keys on the keyboard fun for keyboard players and non-musicians alike! The Harp might be an obscure instrument, but one that is worth focusing on from a technical point of view, as you can discuss the effect on sound when the length of a vibrating string is changed. 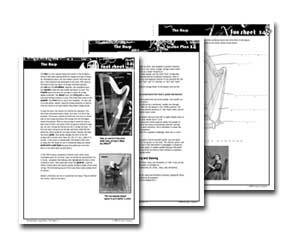 The parts of the Harp are identified in the Fun Sheet, which brings it all back together to the fact sheet. PowerPoint Slides ready to go! 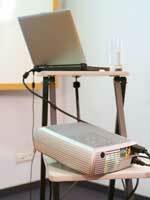 Are you lucky enough to have a digital whiteboard or data projection system in your classroom? I never was when I was teaching. My schools only had old fashioned whiteboards (and sometimes even blackboards!) however if you are lucky enough to have the modern technological aids note that this product is made to work with them. 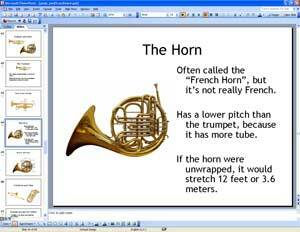 Bonus #1 is a complete set of PowerPoint slides that are set up with all the Fact Sheet information, laid out in a logical way, so that you can click through the presentation and talk about the instruments in your classes. We’ve even supplied the editable PowerPoint files, so if you have Microsoft PowerPoint or a compatible program you can edit them to your own specific needs. 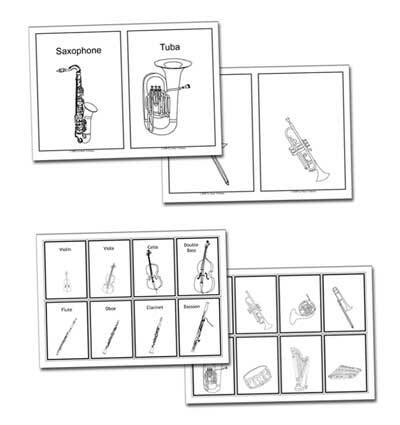 We’ve created a special set of printable flashcards to accompany the instruments discussed in this module. 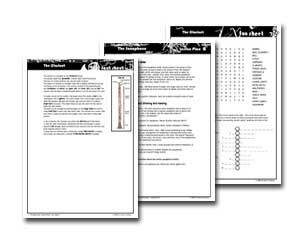 These can be used for some of the games included in the lesson plans, as well as for making up your own games or as a recognition game to bring it all together. These flashcards are printable in either large format (half page) or small format (approx 2”x4”) sizes, and include two versions – one with and one without the names. Like all our products here at the Fun Music Company we provide unlimited updates and revisions for the period of the license. Think about it – this is way better than buying a conventional book. If we update something you’ll hear about it via email or the members area, and you’ll be able to download the corrected worksheet. Sometimes, errors happen. Its unavoidable, and because the lesson plans contain links to other internet content (such as Videos and other resources) it is possible that these might change. This is outside of our control. For this reason, unlimited updates and revisions are really important so that you can be in touch with us and the other music teachers around the world utilizing these resources. If you’re teaching this unit you may need a completion assessment or final test or exam to find out how well the students learned the content. You may need formal assessments to fulfill the requirements of your school or education department authority. Do you have to do teach this module in the specified order? Absolutely NOT! You can teach the lessons in whichever order you wish. You may even choose to omit certain lessons if they don’t suit your particular situation. It is up to you to decide how many of the activities you will use and for how long each activity will run. We don’t have a set format for these lessons. How much material is included? 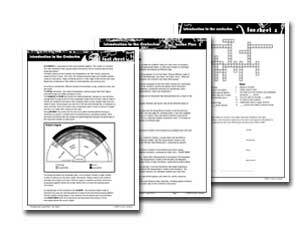 Generally each lesson plan is one page of ideas, each Fact Sheet is one page, and each Fun Sheet is one page. We did this for simplicity, and so that your students can file them away easily in their books or folders. We will give you the legal stuff of course, but the long and the short of it is that you have the right to print out as much as you need for your teaching. The only restriction is that you can’t re-sell or share the license with anyone else. That’s just common sense really! Contact the Fun Music Company Helpdesk, and we’ll get back to you as quickly as possible.